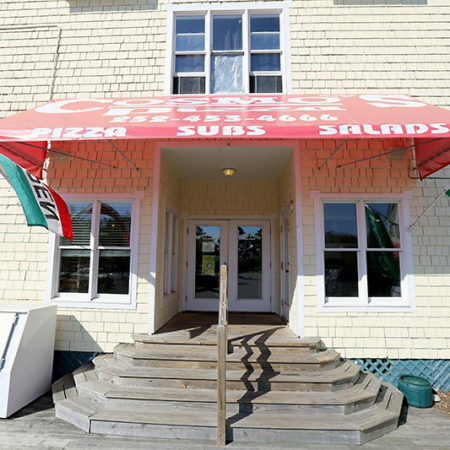 We have two great pizza spots in Corolla NC, Outer Banks - Check us out! 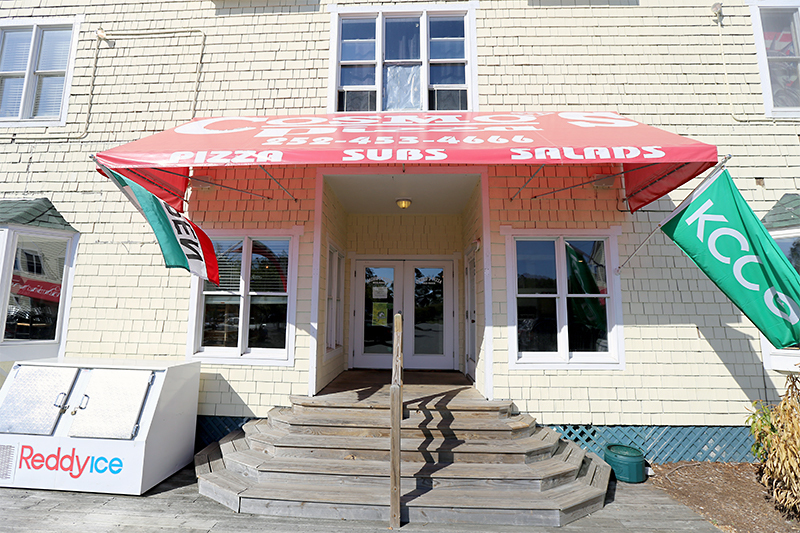 Just before the red-brick Currituck Lighthouse, you’ll find Cosmo’s Pizzeria in the Corolla Light Town Center. You can see our bright red awning and glowing neon OPEN sign from the road! We have a large, accommodating dining room that is perfect for groups, and we also have a full bar for dining and enjoying our refreshing speciality cocktails. Check out our new back deck where we host live, acoustic music and serve up ice cold beers.